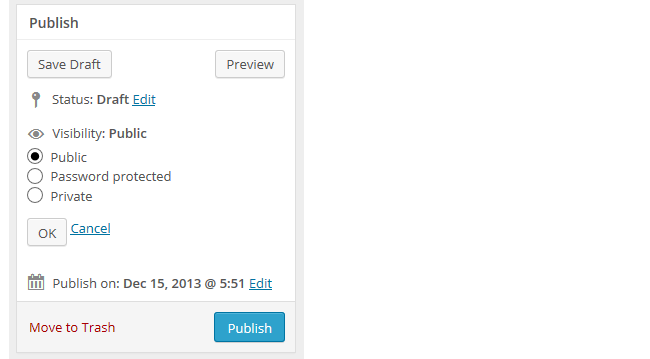 You can control who can read a page using the Visibility area on the Publish module. Public means the page is visible to anyone. Password Protect a Page – The page is protected with a password you set. Any reader that has the password can view a protected page. Make a page private – Pages marked as private are only visible to users who are logged into their account; and have been assigned the role of Editors and Administrators. Logged out users don’t see private pages. Refer to password protect posts and pages for more information.